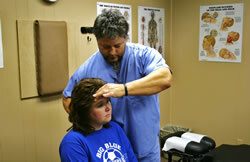 We tailor our examination to the patient’s needs. Our typical examination may involve orthopedic and neurological testing, range of motion testing, palpation, muscle testing and reflex testing. 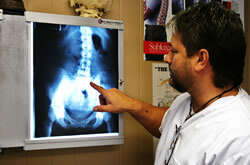 If required, we refer our patients to various local facilities for further testing such as MRI Scans, CT scans, etc.